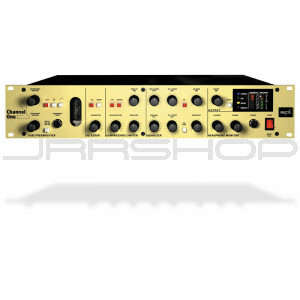 The Channel One is a complete channel strip with all the tools onboard for recording voices, instruments and digital or analog audio sources with the highest sound quality: a transistor/tube preamplifier, a de-esser, a compressor/limiter with noise gate, an EQ section and a headphone monitor. The concept of the Channel One is as the ideal recording tool – for hard disk tracking as well as for analog environments. Intelligent automation ensures intuitive, fast operation and guarantees the finest recording results.